Here is another cozy infinity cowl pattern. 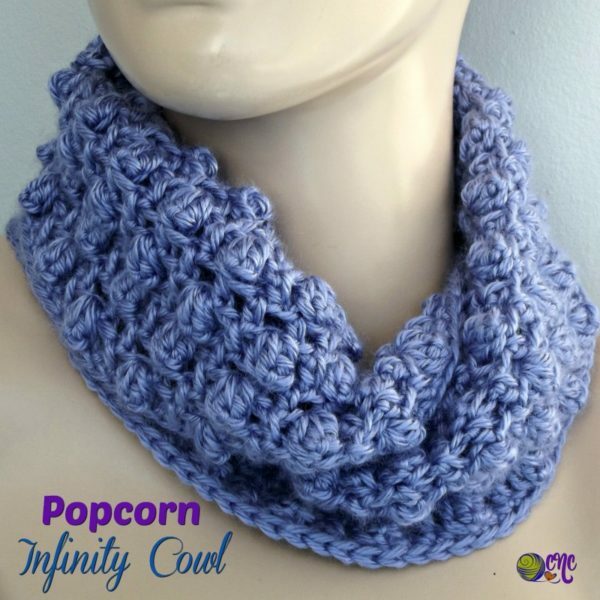 I just love the infinity look with a cozy fit around the neck. It’s a great match with any outfit from casual to elegant evening wear. The thing with infinity scarves is that you get a two-toned look on the fabric if you work it in the round. It’s a nice wide cowl, and when you give it that extra fold-over you get a beautiful textured look all around. But, the fabric looks great on both sides, making this the perfect cowl to increase to any length for a nice over-sized or a cozy hooded cowl if you wanted to. 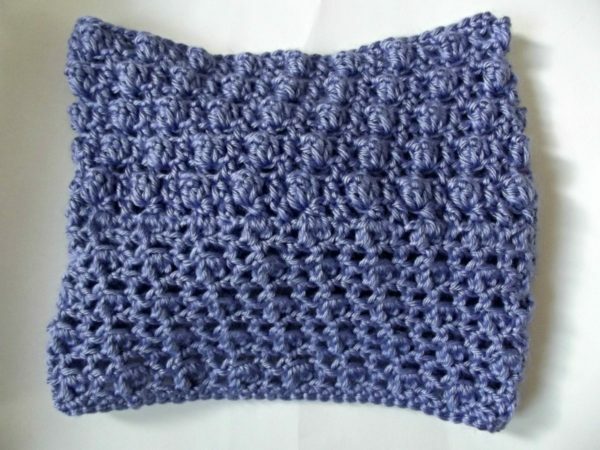 You might also enjoy this chunky cowl, or check out the main category for crochet cowls. Or, if you’re looking for something even more cozier, you might enjoy this hooded scarf crochet pattern. Yarn: Caron Simply Soft (Worsted Weight (#4) 100% acrylic, 6 oz/170.1 g – 315 yds/288 m) 1 skein. Gauge: Measures approximately 1″ over 3 stitches/chains. Finished Size: Laying flat it measures approximately 8.5″ by 8″ wide. Popcorn (Pc): Work 4 hdc in designated stitch. Remove hook from loop and insert into first hdc made. Pick up the dropped loop and pull through, ch 1 to close the st.
Ch 81, or any multiple of 4 + 1. Do NOT Join yet. 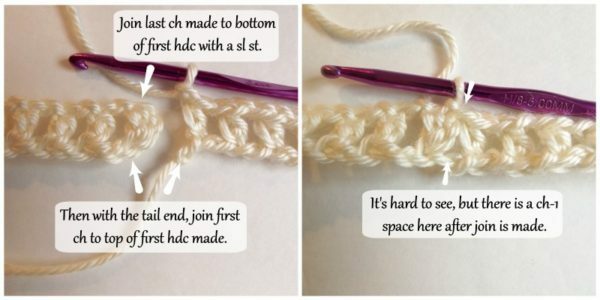 Make a twist in your work and join last ch made to bottom of first hdc with a sl st. Then with the tail end, join first ch to top of first hdc made. (See Images Below) After the join you should have 80 ch-sps that you can crochet into. Note for Rnds 2-3: You will work only into the stitches, all chains are skipped. Rnds 4-10: Rep Rnds 2 and 3, ending last Rnd with Rnd 2. Rnd 11: Ch 1, sc in same st as join and into each st and ch around; join with sl st in first sc. Fasten Off. 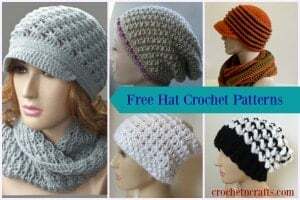 Check out more free patterns for crochet cowls on CPB. I don’t normally like cowls, but I think I’ll try this one. It’s lovely.